It was only last week that I wrote an article detailing the potential for a Monster Hunter MMO but it appears one may be coming sooner than we thought. Our very own Kirk pointed me to a thread on the PC Gamer website. 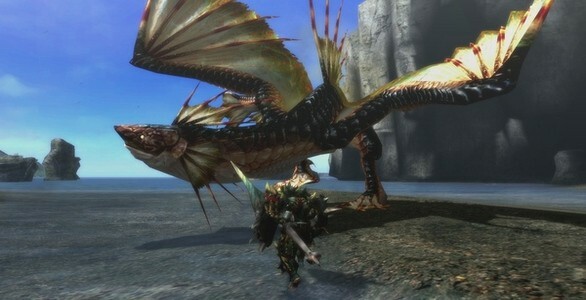 In it an individual details some information regarding an upcoming Monster Hunter MMO, information he gathered from the YouTube video and the official Japanese website. Capcom already have a teaser website in place and although it’s not fully translated, it’s very easy to see that it is without a doubt based on the Monster Hunter franchise. The rumors are based on Japanese giants Tencent, a company that had the cash to buy out Riot Games and acquire a large share majority in Epic Games. Several Twitter comments and leaks from a Tencent employee give credence to this rumor. In the forum thread the individual linked several images giving further credit to this rumor. One of the images was translated into the exact release date of the original Monster Hunter title, the second translated to CryEngine 3 and the third image translated to MMOACT. It’s a pretty safe assumption, after you piece together all the pieces, that this is indeed confirmation of a Monster Hunter MMO. I don’t want to pass off the guys heavy research as my own so if you want the full lowdown you should check out the PC Gamer thread, but not before you check out the jaw-dropping teaser trailer. *UPDATE* Tencent Games has officially confirmed an international release.